What do you do when you get to the casino buffet three minutes before they close? That actually means that the food will start getting pulled in about 25 minutes, so there’s plenty of time for one trip, but don’t you “need to get your money’s worth?” Hahaha! Archaellys and I celebrated Single Awareness Day by taking a jaunt up to our local Indian casino and this is exactly what happened once we got there and settled into our room for the night. The answer is this: You grab as many plates of stuff as you can before you even sit down to eat. Fat kid status. 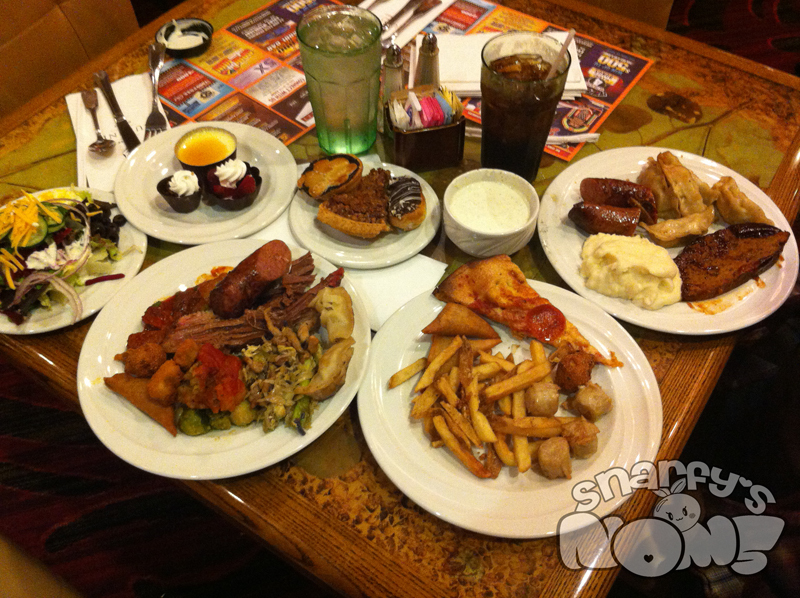 Oh casino dinner buffet, you understand the pain of Single Awareness Day. Let me drown my sorrows in your bounty and then play some penny slots.